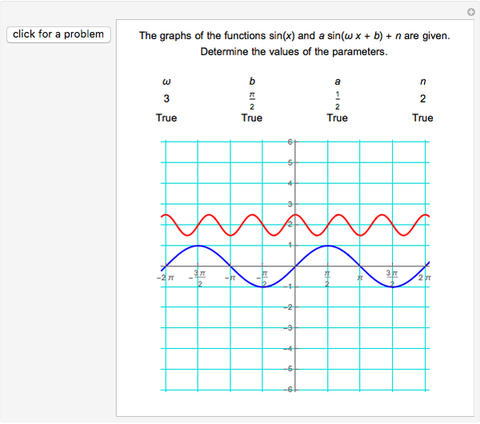 This Demonstration provides a quiz for elementary transformations of sine waves. 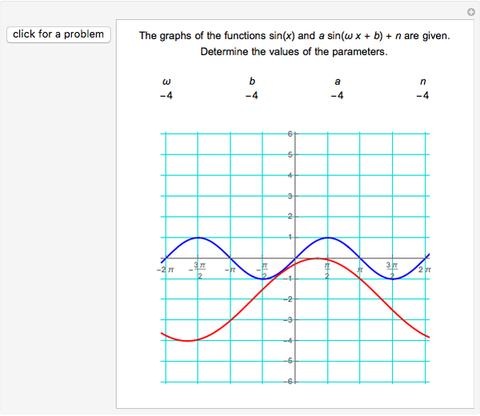 You are given the graphs of in blue and in red. The problem is to determine the values of the parameters , , , . 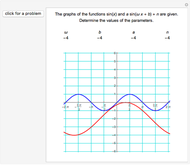 For a sine wave, is called the amplitude, is the angular frequency, and is the phase. 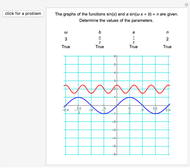 Izidor Hafner "Elementary Transformations of a Sine Wave Quiz"